Can I export a table to Excel? It is possible to export any data tables or financials to Excel, directly from a report in Fathom. Switching on this option enables any user who can view the published report, to export the table to Excel. Enter the properties panel for the financial statement or data table and choose 'Allow report viewers to export to Excel'. 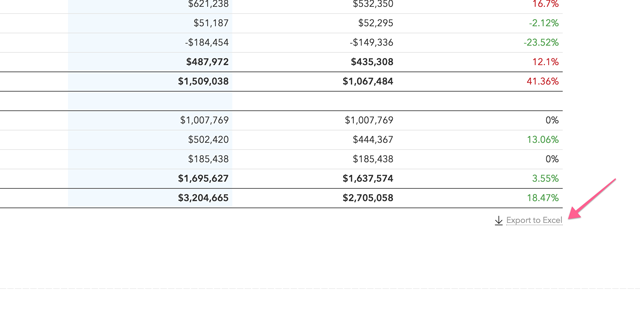 When viewing a published report, you will then see the 'Export to Excel' option below the financial statement or table.